Copy of Victorian manuscript Masonic poem, apparently unpublished, divided into 'Opening' ('Hail, Thou from whom all light is shed', '1st. Degree' ('Lo, here we meet in brotherhood') and '2nd. Degree' ('Brother, thou upon whose eyes'). 2pp., folio. 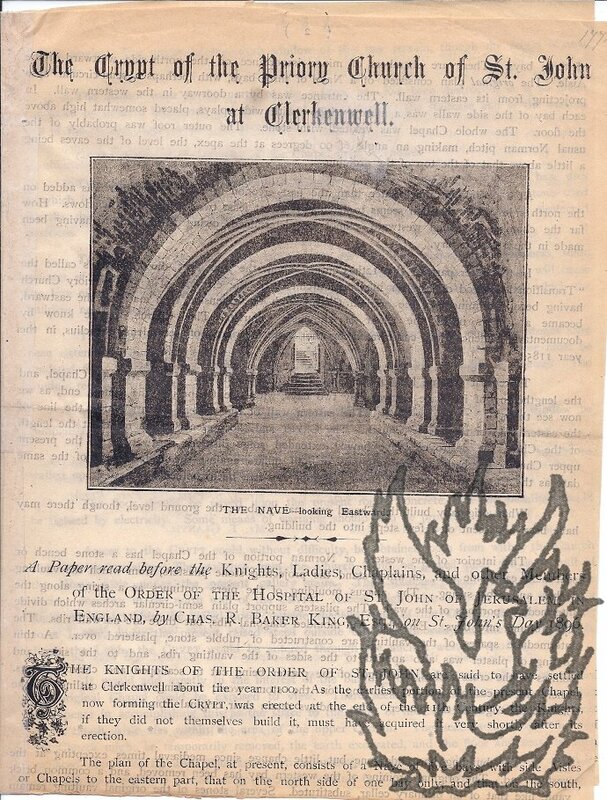 On two leaves of yellow paper, with 'PATENT' lion and unicorn watermark. Text enclosed within faint blue vertical lines. Good, on lightly aged and worn paper. No record found of the publication of this item, the first page of which is headed 'Opening: -', with the last section ending two thirds down the page, suggesting that it is complete. A rhymed poem of 36 lines: the first section consisting of 10 lines, the second of 16 lines, and the third of 10 lines. 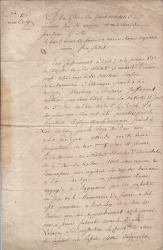 Autograph Letter Signed ('John Randall') from the London coachmaker John Randall to 'monsieur le Doctor Brown' [i.e. Sir Charles Brown], physician to the Queen of Prussia, acknowledging receipt of a payment and complaining of ill health. 1p., 4to. Bifolium. Very good, on lightly-aged paper. Addressed in another hand on reverse of second leaf to 'Monsieur le Doctor Brown | Medicin de la Majesté la Reine | regnante de Prusse | Berlin', and docketed (presumably by Brown) 'J. Randall Coachmaker | 1789 | London June 30 | recd. July 13 - | with a Receipt in full inclosed -' (the receipt is not present). 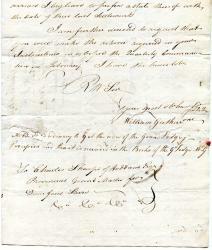 Brown begins: 'I have sent you enclos'd a receipt in full for what you was Indebted to me'. He would have answered Brown's letter before, but has been 'very Ill for these six weeks past & oblig'd to be by the Sea side'. Addressed in manuscript from 6 Great St Helens, Bishopsgate St [City of London]. 8 October 1831. 2pp., 4to. 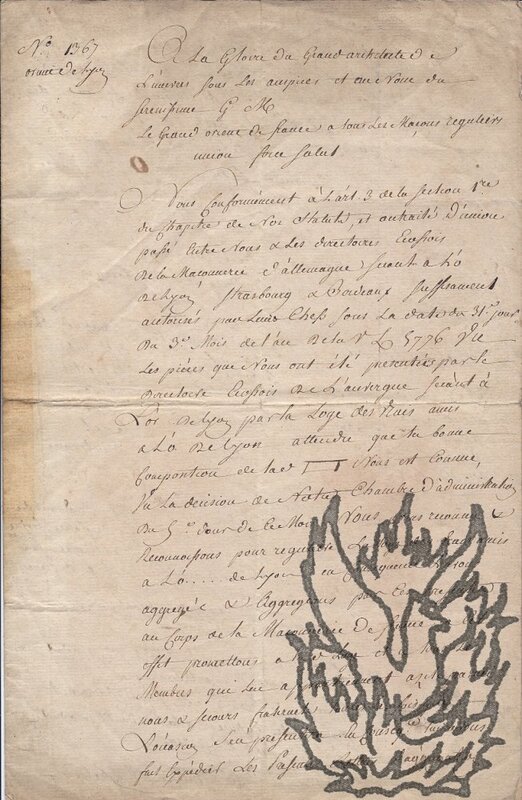 Printed in small type, with manuscript additions on both sides of the first leaf; addressed on the recto of the second leaf, with broken red wax seal: 'P. P. 9d | Mr Baldwin | Copper plate printer & | Birmingham | Sheffield | Oct 8th.' Great St Helens was a centre for firms concerned with bankruptcy and liquidation, and this interesting document offers banking services for 'needy Manufacturers and Tradesmen', with a use of Masonic imagery which is designed to reassure. 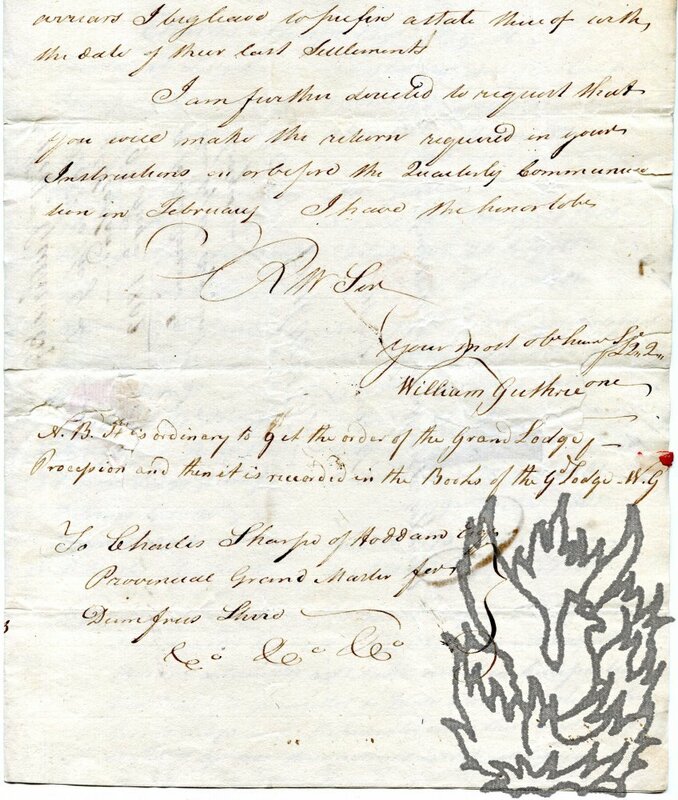 Secretarial Letter, signed 'William Guthrie' (Secretary of the Grand Lodge of Scotland), to Charles Sharpe, carrying itemised details of 'the arrears &c due by the different Lodges' in Dumfriesshire. 4to, 3 pp. Bifolium. Very good on lightly-aged paper. Minimal damage has been caused to the second leaf (affecting two or three unimportant words of text) by the breaking of the red wax seal. 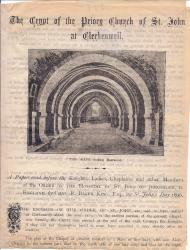 Addressed by Guthrie 'To Charles Sharpe of Hoddam Esqr [Hoddam Castle] | Provenance Grand Master for Dumfries Shire'. Small circular red ink postmark. Docketed. Guthrie's letter, in a secretarial hand but signed and with an initialed postscript by him, covers the two centre pages. He writes that 'a great proportion' of the lodges are in arrears, 'some of them 20 years and upwards'. Samuell's Guide: How to know Sydney. Illustrated. Maps of Sydney, the harbour, the suburbs. Fishing resorts, masonic, shooting information, carriage drives, telegraphic code, &c. &c.
H. J. Samuell's Guide to Sydney, 1897. Printed by McCarron, Stewart & Co., for the Samuell Publishing Company, Sydney, N.S.W. [New South Wales], 1897. 16mo (13.5 x 10.5 cm), 288 pp. In original black and red printed wraps, illustrated on front with illustrations relating to the city. Fold-out 'Map of Sydney' (26 x 38 cm) in black and grey, with advertisements on reverse. Lacking the fold-out map which should be present on a stub between pp 124 and 125. Good, a little aged with slight staining at foot of first leaf. In worn and stained wraps, becoming detached from book at front. Ownership inscription of 'U Reynell 1895' in pencil on front wrap. Advertisements throughout. Numerous photographic illustrations. A printed invitation with manuscript additions, D.J. Garcia, Secretary (of the United City Lodge inviting "BROTHER" [printed) to "attend the duties of the United City Lodge". The address panel contains the name "Mr D'Israeli". 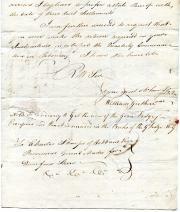 Meeting on 27 November 1786; summons dated 24 November 1786. Two pages, irregular shapes (section missing - not affecting text), fold marks, some soiling and chipping. Text of summ ons as follows (manuscript in square brackets): "BROTHER, / You are requested to attend the Duties of the United City Lodge, at the Sign of the East-India Warehouse, Fenchurch-Street, on Monday next, the [27th. Inst.] at  o'Clock precisely. / By Order of the R.W. MASTER. / London, [Nov. 24th. 1786 / Raising] / Yours affectionately, [D.J.